This little voice can make or break our lives. Interestingly enough, our self-esteem can take a beating by little known factors. It is important to keep an eye-out for these factors and not give-in when encountering these or bounce back in resilience as quick as possible. Doubting words from a loved one- The people in our lives play an important part in developing and nurturing our self-esteem. For example, when our spouse or parents express their joy and pride in our accomplishment, that boosts our self-esteem tremendously. On the other hand, if the same spouse or parents express doubt and concern over our abilities, we begin to doubt ourselves as well. Thoughts such as ‘my mom does not think I am capable of doing this, I can’t do it’, ‘my husband does not think I am doing the right thing, so I am wrong’ and so on and so forth. Human beings thrive on approval and acceptance from our loved ones and hence our loved one’s opinions can make or break our self-esteem. TIP: Be forthcoming to your loved ones and remind them about the huge role they play in your lives and how their support and positivity are important to your well-being. They are your loved ones and will be happy to provide you with the nourishment that you need. New experience/situation – People who find themselves in a new situation or experience something new for the first time, may feel unsure of themselves. The manner in which they handle the situation can contribute to their self-esteem’s growth or decline. People with positive self-esteem generally are able to handle new situations better. For example, when you walk into a conference room and are not familiar with anyone, people with low self-esteem tend to keep to themselves or stick with the people they originally find seating with. In contrast, a person with positive self-esteem tends to work the conference room and meet new people and mingle among the crowd with no hesitation. TIP: A good way to overcome this is to expose oneself to as many new experiences, people and situations as possible. If a friend calls you to try a new sport, go try it. When you decide to eat out, venture out and try a different cuisine. At a party, try to make a genuine connection with one new person. At school, get up in front of the class and be the presenter for the presentation..the opportunities are endless. Social Media – The pervasiveness of social media nowadays is immense and the surprising little known thing is that social media has begun to play a huge role in affecting people’s self-esteem. Constant exposure to picture perfect photos of friends and acquaintances, of their families and their lives and all the so-called great things happening in others lives is beginning to put a damper on some people’s self-esteem. What people fail to realize is that social media is being mostly used as an outlet to flaunt the positive parts of a person’s life. And people tend to forget that everyone has their share of problems, issues and challenges that they are not necessarily exposing to the world. TIP: A gentle reminder that social media is just a medium to connect with people and not the know-all outlet of anyone’s life is a good way to overcome the self-esteem dampening. Excessive Negativity and Criticism – When a person is subject to constant negativity and criticism, after a point they cave in and begin to believe the same. The subconscious mind listens to the negative words and acts on those words and we begin to manifest the negativity in our lives. TIP: It is thus important to surround ourselves with positive people, positive thoughts via reading good books, and cultivating a positive mindset that is resilient to even the harshest of criticisms. Perfectionism – Sometimes, people tend to place undue importance on perfectionism. They expect even the minutest of things to be PERFECT before they take action.They expect all their ducks to be lined up in a row, before proceeding to do whatever it necessary. For example, a person with low self-esteem may be apprehensive to start that weight loss program until they have the right shoes, right clothes, right company etc. TIP: The antidote for this is to cultivate a mindset that a dear friend of mine aptly refers to as ‘Do it and then get it right’. Sometimes, it is not necessary to know everything, to have everything or be in the perfect place to take action. 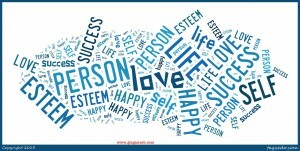 Self-esteem plays a huge role in people’s ability to succeed. Keeping a cautious look out for these 5 little known factors and nipping the symptoms at the bud, will pave the way for tremendous success. 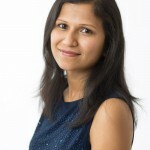 Author: Gia GaneshGia Ganesh is a Lifestyle & Mindstyle Design Diva, working with high-achieving women to help them craft a 'designer level' inner life that fuels the path for external abundance and prosperity. Women who are stagnating and unfulfilled often find meaning, passion and purpose and a renewed zest for life after working with Gia.